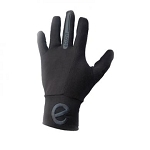 These fantastic touch screen compatible sports / runnning gloves from eGlove combine the warmth of traditional running gloves, with two fingers of conductive fabric allowing you to operate any touch sensitive device whilst on-the-run, without needing to take off the glove! 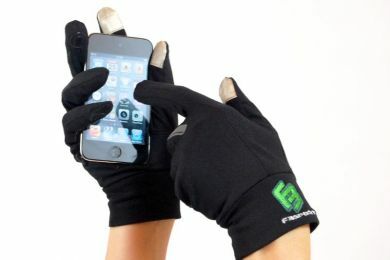 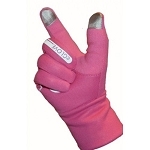 The conductive pads allow you to operate your smart phone, GPS unit, iPod or any other touch screen device, without exposing your fingers to the cold outside. 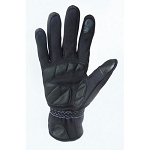 Made of a soft and lightweight cotton / lycra mix for comfort and stretch, with rubbery silicone detailing on the palms and finger tips for extra grip, these gloves are perfect for wearing every day, whether you enjoy running in freezing conditions or not.